For the last five years, tens of thousands of shooting, hunting and outdoor enthusiasts have flocked to the lights on the desert floor for the annual SHOT (Shooting, Hunting, & Outdoor Trade) Show. Though the show has existed in some form since the late 1970s and traveled to different cities, it seems to have found a home in Las Vegas. With more than 60,000 attendees expected for the 2015 show, there may not be a better place to hold the massive crowd. From the latest in extreme tactical gear to innovative bullet technology to just about anything you imagine that’s outdoor related, the enormous Sands Expo contains just about anything and everything a serious whitetail enthusiast could ask for. Once again, Outdoor Channel will attend the show and will hold the Golden Moose Awards to highlight many of the talents that we all watch on TV throughout the year. Not as “restricted” as the Archery Trade Association (ATA) Show, the SHOT Show will be packed wall to wall for four days. From releasing new products to celebrity appearances by Outdoor Channel favorites like Bone Collector, Jim and Eva Shockey, Drury Outdoors and Ted Nugent. However, like the ATA, there will be plenty of business meetings going down in the industry behind closed doors. Many which will set the stage for the next couple years in the outdoor industry. Over the years, I have made it to quite a few SHOT shows. It’s amazing to see the difference between the always-steady hunting crowd and insane growth of the tactical crowd. But for the whitetail hunter looking to start planning for next fall, there is no better place to be. 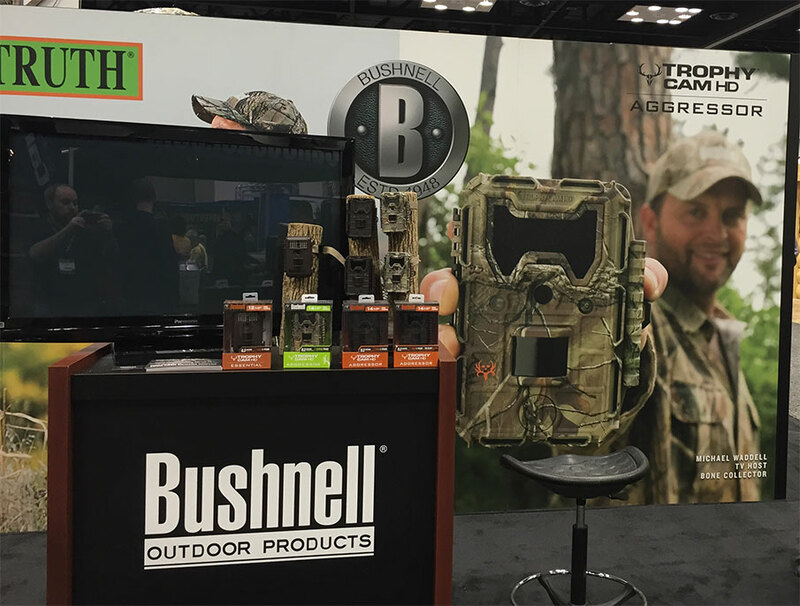 From the latest in treestand innovation to the release of new camo patterns and clothing designs, the SHOT Show will be a topic of discussion on many hunting forums as we all eagerly await turkey season. For me, it’s a great place to network and catch up with old friends. But it’s also a great atmosphere to be around. The passion for the outdoors rings loud and clear in the building. It wasn’t long ago that I learned about the latest products and news in the industry only through articles and hunting forums. Now, I have the opportunity to live it, and bring the stories to you all through the “Everything Deer” column. In the next couple weeks, I will recap the SHOT Show and talk about some of the highlights I think other whitetail fanatics will be excited to hear about. I look forward to bring you all that, and to anyone traveling to the show, I’ll see you there!